Starting with road and then covering All-Road, Endurance, and Race-Rim (bikes for racing without disc) Competitive Cyclist is publishing the 2018 Road Bike Buyer’s Guides with videos like this one. If you didn’t know, Competitive and Backcountry ship over 10K bikes a year, and Competitive Cyclist is the number 1 retailer for many premier bike brands. In addition to content and video, Competitive has their “geniuses” they call Gearheads who work in Salt Lake City, UT helping customers build a bike and order equipment. So, say, you wanted a gravel grinder to ride the Iron Horse trail, you call them up, describe what you want to do, your budget, and they’ll walk you through what to buy. In about 3 days, that bike shows up at your door. If you’re not into riding a road bike on dirt, maybe a bike like the Factor in the video will fit your style. What’s more important about the bike Competitive delivers, is it’s pretty much ready to ride. In business since 1988, Competitive and Backcountry know their market and what cyclists want. I’m not so sure about the term Race-Rim and what that means, but Competitive does. They move more performance bikes than anyone else in the US. It’s not all about sales either, Competitive also sponsors an elite U23 mountain bike team, Summit Bike Club. Back to the Factor, that’s a bike I’d like to spend more time on. My schedule didn’t permit a demo, but the other media at PressCamp were impressed. 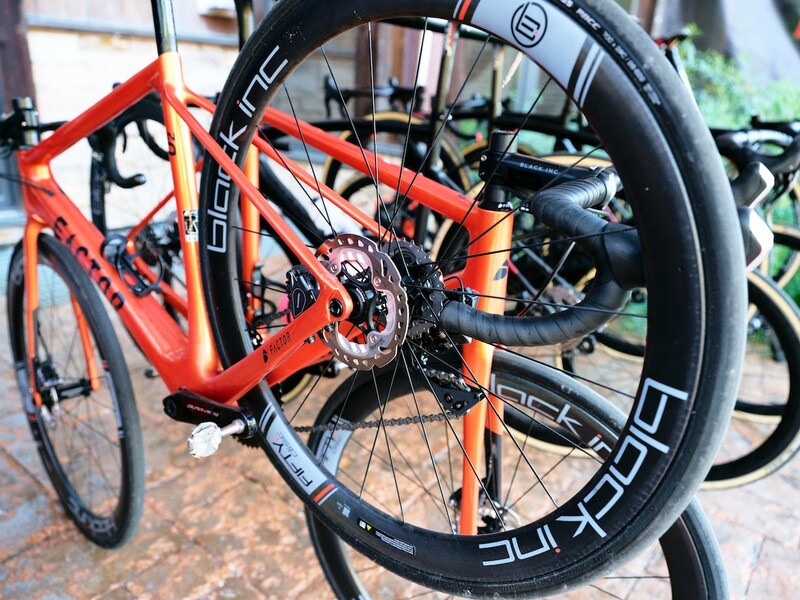 The 02 is a high-end road disc bike that is speed and light. Handles great tour. And, what you should expect from a road bike these days. That’s very configurable and shipped directly from Competitive’s warehouses to you.